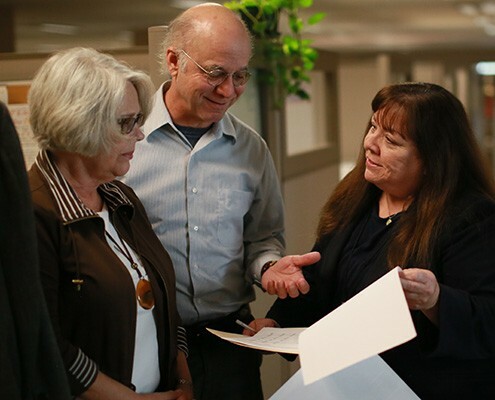 The San Diego County District Attorney’s Victim Services Division works diligently to reduce the trauma, frustration, and the inconvenience experienced by victims, witnesses, and family members affected by crime. We do this by providing a variety of services to victims of crime and their families. In addition, we express our full support to victims and witnesses through the criminal justice process. The Victim Assistance Program provides comprehensive services to all crime victims, as mandated by state and federal law. Mandatory and optional services are provided to crime victims even when a suspect has not been apprehended or prosecuted. This program is meant to reduce the trauma that victims experience in the aftermath of a crime. Victim advocates work tirelessly to assist victims of violent crimes. In 2015, they assisted 12,826 new crime victims. This assistance included 716 crisis interventions and 12,700 resource and referral information for crime victims. In addition, they provided case status to 6,254 victims and court accompaniment to 853 victims. Victim advocates also assisted with filing 2,543 applications with the Victim Compensation Program. The Joint Powers Claims Unit processed 1,067 claims from victims of violent crimes and 2,640 bills from service providers. The unit also facilitated payment of nearly $1.2 million to victims from the California Victim Compensation Program Fund. The Criminal Restitution Recovery Unit helped to obtain and complete 1,697 orders, assisted 5,497 victims, and obtained restitution fines of over $1.6 million. The unit also helped to secure restitution amounts totaling $7.4 million. 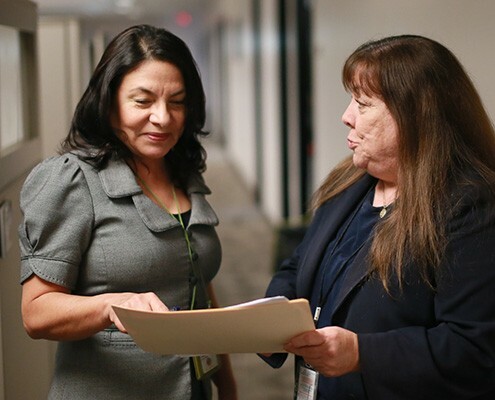 Our Senior Probation Officer Liaison provided assistance to 2,072 victims in 1,950 cases. As a result, over $10.5 million in restitution was ordered paid to victims and approximately $481,000 in restitution was distributed directly to victims in 2015. The division participated in the National Crime Victims’ Rights Week by hosting a Citizens of Courage Luncheon and a Candlelight Tribute at the San Diego Police Officer’s Association. The District Attorney played a pivotal role in providing $22,132 using the DA Emergency Relief Fund for immediate needs of 24 crime victims. The money assisted victims with expenses for medical, dental, housing, food, and personal items. The program held its annual Holiday Drive for crime victims and their families. Through staff coordination, 26 families – which included 42 adults and 50 children – were provided with household goods, toys, clothing, and gift cards. Victim advocates taught cadets about the rights of crime victims at the San Diego Regional Police Academy and at Probation Core Training. The Victim Assistance Program continued to provide outreach and education by participating in community events such as Chicano Park Day and the National Night Out Event. This year, our support dogs provided assistance for 108 crime victims including support during 30 jury trials, 55 preliminary hearings and many victim interviews with Deputy District Attorneys and law enforcement personnel.